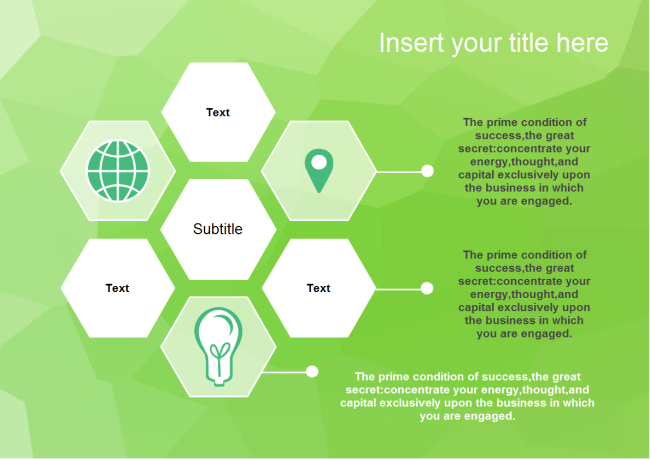 Description: Awesome multiple hexagons PowerPoint template with fluorescent green background and hexagon shape groups. This theme is perfect for presentation on business strategy, marketing, education, etc. Free download and save for your future use.